The Damatrys Palace, which was constructed 14 centuries ago, is located in the Samatya district of Istanbul and is seen to be one of the most important archaeological structures of the Byzantine Empire. The plans for its restoration have identified specific parts of the site as first-degree protected archeological areas, while other sections of the site are identified as third-degree protected archaeological areas. 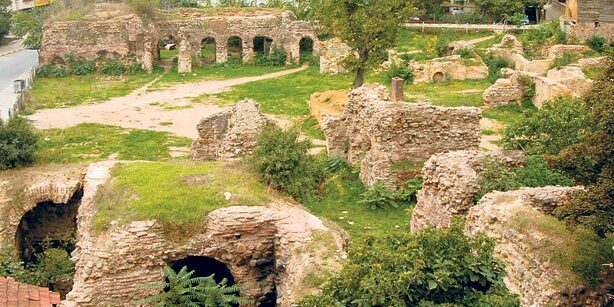 Reports published by the Istanbul Municipality include plans on how the archeological site can be protected. The Sancaktepe Municipality, which the Samatya district falls under, confirms that a contract was signed by the Istanbul Special Provincial Administration for the restoration of the palace. The palace was used as the Byzantine gateway to Anatolia and as a meeting place of the Byzantine army. The emperors also used the palace as a rest stop upon returning from journeys to Anatolia before reaching their capital. It was during the 12th and 13th centuries that the site became unusable due to its dilapidated state.